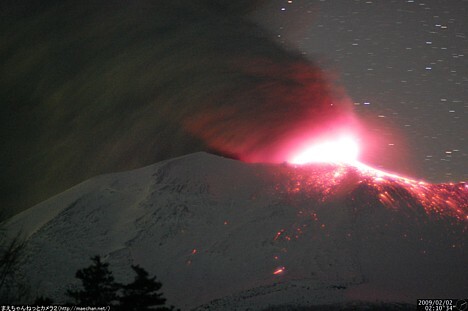 Here is some awesome time-lapse footage of the eruption of Mount Asama, an active volcano straddling the border of Gunma and Nagano prefectures north of Tokyo, which suddenly awoke in the early morning hours of Monday, February 2. The video was shot between 1:55 and 2:30 AM. 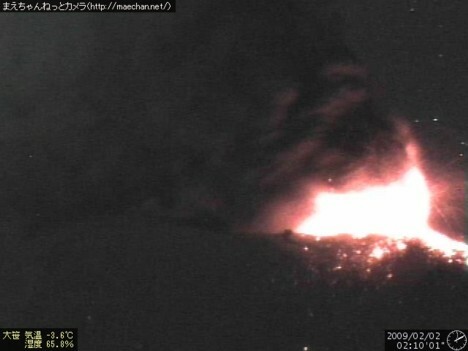 Other cameras captured the volcanic activity from different angles. The time-lapse videos below were created from photos shot at 10-minute intervals. 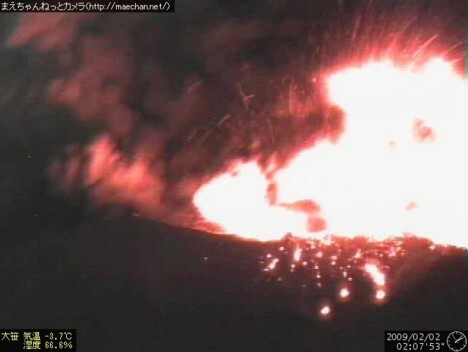 The eruption occurs toward the end of each video. 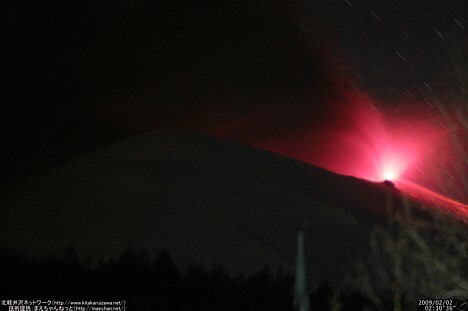 Latest photos of Mt. Asama: 1, 2, 3. That's pretty crazy. I hope nobody was hurt from the ash.